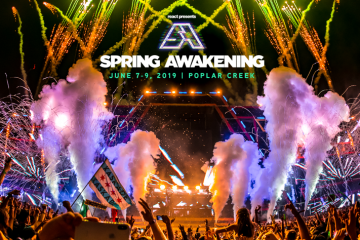 This past weekend, thousands of festival-goers flocked to west side of Chicago at Addams/Medill Park for the 7th annual Spring Awakening Music Festival. 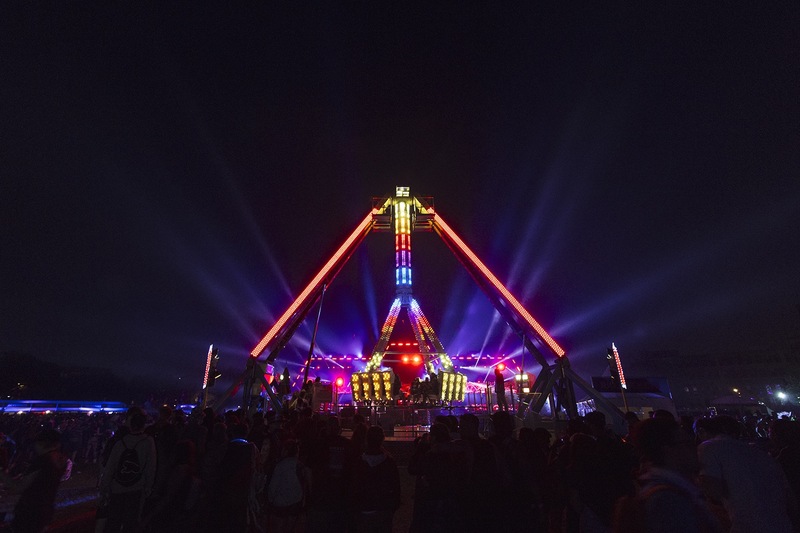 The yearly EDM-infused spring/summer music festival brought a three-day celebration of bass-heavy DJ sets, partying and fire-shows to the stage. On Friday over 35,000 fest-goers passed through the gates for the weekend fiesta. Organizers kept things pretty much the same by keeping the layout similar to last years. 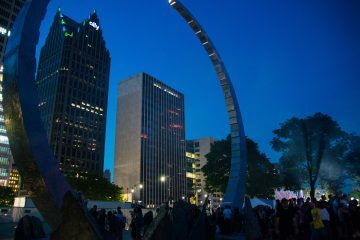 The festival featured a silent disco, carnival rides as well as newly designed main stages, including the most noticeable attraction the curved-style stage. On Friday, headliners including Tiesto, Steve Aoki, Zeds Dead and Tchami took to the stage for the first day of the festivals three-day celebrations. Local acts kicked off the festival with Chicago-natives Haleigh Haus and Metro pumping up the crowd for a spectacular weekend. Up next was Texas-based duo Dream Academy got the crowd grooving while Mercer’s set featured a disco beats and a hype man. Some performers included tributes to late artists that had passed away this year and the previous one. Matoma mixed the late Avicii’s ‘Wake Me Up’ within his eclectic mix which featured old-school RnB/hip-hop and new top Billboard tracks. As the evening progressed Steve Aoki paid tribute to Chester Bennington and Anthony Bourdain with his Chester Forever Remix of Linkin Park’s hit song ‘One More Light’. As the only woman to perform this year Alison Wonderland took to the stage in the evening producing an eclectic set of electropop and chillwave beats featuring some of her latest singles including ‘Easy’ and ‘Church’. On Saturday headliners included Hardwell, Carnage, Big Gigantic, and Sasha and John Digweed. The crowds were just as pumped as the day before with an upsurge of energy and bass grooves flowing throughout the festival grounds. Headliners and festival closers including Kaskade, Deadmaus, Dubfire & Pete Tong ended the three-day event on Sunday. Overall React Presents seem to be fine-tuning each and every year, and it isn’t going unnoticed. We would definitely recommend Spring Awakening Festival to anyone interested in looking for a bass-heavy EDM festival within the Midwest. All in all, it was a fantastic festival layout which offered different vibes for festival-goers to choose from in each tent/stage. We thought that the carnival rides were a fantastic addition for attendees to enjoy besides hitting the stages and grabbing something to eat. Maybe we’ll see more elements like this in the next SAMF editions.